An accessible introduction to the study of popular music, this book takes a schematic approach to a range of popular music genres, and examines them in terms of their antecedents, histories, visual aesthetics and socio-political contexts. At the centre of each chapter is a textual analysis of key examples of the genres concerned: soul, psychedelia, progressive rock, reggae, funk, heavy metal, punk rock, rap, synthpop, indie, jungle. 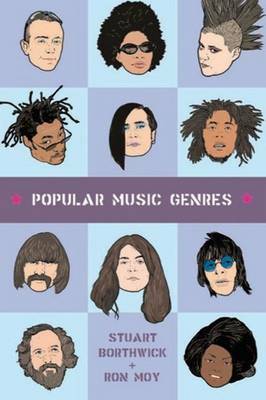 Within this interdisciplinary and genre-based focus, readers will gain insights into the relationships between popular music, cultural history, economics, politics, iconography, production techniques, technology, marketing, and musical structure. Features *Introduces key terms and concepts in the study of popular music *Includes recommended further readings and audio texts at the end of each chapter *Provides a glossary of key theoretical terms for reference.